In 2009, EFMC launched a series of short courses aimed to favour cultural and scientific growth of the medicinal chemistry community and organised with affordable fees for participation. 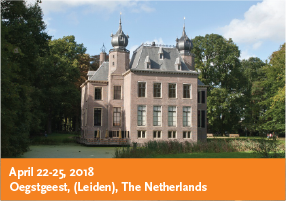 This intensive course is intended for scientists working in the field, and the presentations will be given by senior scientists from industry and academia. The number of participants is limited to 35, to allow in depth discussion. Should the number of applications exceed the maximum, preference will be given to applicants from EFMC adhering countries and employees of EFMC corporate members. Upon special request to the organisers, only based on financial conditions and supported by an argued recommendation of the head of the department of the applicant, up to 3 applicants from academia may be admitted at a reduced fee. Peptides are a gigantic class of bioactive compounds, offering an immense chemical diversity as well as the potential for finding and characterizing new targets and also for developing non-peptidic ‘analogues’. However, the development of peptides into clinically useful pharmaceuticals is full of challenges including their pharmacokinetic properties (short biological half-life, lack of oral bioavailability, difficulties to reach intracellular or intranuclear targets) as well as their conformational flexibility which may cause reduced affinity and selectivity. However, recent developments in discovery, manufacturing and formulation, as well as in preclinical and clinical development, has triggered a lasting resurrection of pharmaceutical interest in peptide therapeutics. This EFMC seminar will bring together enthusiastic, approachable experts, both from academia and industry, on selected hot aspects in the discovery and development of peptide therapeutics. Real life examples and interactive discussions will give the participants a unique opportunity to learn in a short time how the challenges in peptide therapeutics can be handled and overcome.